We’ve all been there before. 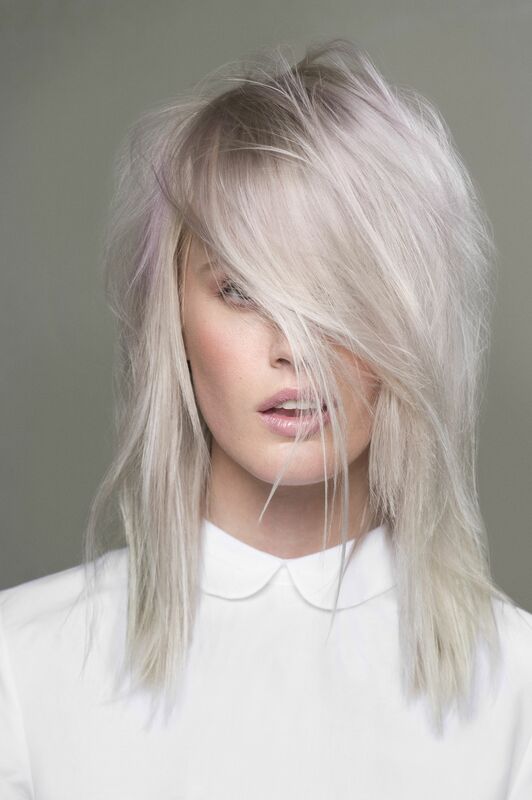 The hairdresser spends three hours on your hair and when the foils are finally removed… You hate it. The first thought is usually denial. It’s still wet so probably won’t always look like this right? Wrong! Suddenly it’s all blow-dried and you’re faced with that dreaded question, “what do you think?”, “Oh, I loooove it!” you respond with your best fake smile, only to go home and cry yourself to sleep. So what’s a girl to do when it’s too awkward to return to the lovely lady who has put all her heart and soul into your locks? You go to one of Sydney’s best hairdressers, STAT! They say not to judge a salon by its cover, but when the cover looks this good, it’s fair to assume some top-notch quality! Situated in the super trendy Potts Point, People Hairdressing features a talented team of stylists and colourists who truly appreciate the uniqueness of each client. For this reason, they organise full consultations before touching your hair in order to guarantee satisfaction. This professional team is also regularly seen on Prime-television programs and hey, if they’re good enough for Australia’s Next Top Model, they’re sure as hell good enough for us! With uber stylish salons in Bondi Junction, Surry Hills and New York City, this innovative salon is bound to deliver precisely what you’re after. Prema’s incredibly experienced team understands hairdressing as a professional art and for this reason, has featured in countless high fashion editorials this past year. If you’re not willing to invest your whole life savings into your mane, don't fret! Prema aims to make high quality service accessible with their varying price ranges to suit all types budgets. With the motto “life is too short to have bad hair”, it's pretty obvious these guys take your locks seriously. Nestled in the southern suburb of San Souci, DD&Co has recently opened its doors to the shire and brought along some pretty trendy vibes with it! Think exposed brick walls and rustic interiors that will make you feel more like you’re in a café than a salon! Boasting over 20 years of professional experience, you can trust that with these guys to have your hair in safe hands – literally! Brainchild of the incredibly experienced Dario Cotroneo, Dario Salon has a passion for perfection and is one of Sydney’s best hairdressers! Trained in the art of rebalancing facial features through colour and cuts, Dario ensures each client receives a highly personal experience by ensuring uncompromising attention to detail. So if you want your hair repaired by a salon that is hugely popular with high profile clients, do not look past the superior Dario! Locks need a bit of loving? A visit to new Sydney hairdresser, District Hair, is like a cuddle for tresses in distress! Located above The Stables on Bourke Street, this salon is almost as pretty as your hair will be when you walk out! With its beautiful, stylish interiors and luxury services, District Hair is the place to get your hair fixed to feel all sorts of fabulous! Boasting picturesque harbour views at Milsons Point and incredibly funky decor at Surry Hills, Wild Life Hair provides some guaranteed eye-candy! The salon offers personalised services that strive to make each visit a holistic one. To achieve this, a different specialist will look after you at every step of the hair-repair process, from wash to blow-dry! Not only will this make you feel like a super model, it also ensures you leave with every strand on point. One tip – if they ask if you want a coffee say yes – it’s great! The team at Pretty Bird salon combines their passion for both hairdressing and fashion to bring to life this stylish little Sydney salon. The incredibly experienced and talented team will make you feel comfortable from the second you walk into the boutique. Feel free to sip on a glass of complimentary wine while being treated or even bring in your pet for some moral support! Either way, Pretty Bird’s comfortable atmosphere and lively vibe allows you to truly relax in a way that will make you feel as free as a bird. Located just moments away from the busy Concord West station, this quirky salon has been a favourite among locals for the past eight years – and for good reason too! The team’s focus on personalised, tailored service ensures that you walk away confident and content with your new locks! Whether you’re after a complete makeover or simply popping in for a trim, West-Side Hair offers the humble kind of service you can rely on!